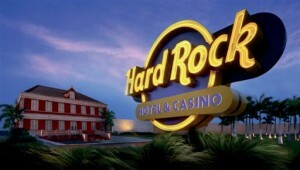 WILLEMSTAD - There is still five million dollars needed for the Hard Rock Hotel and Casino in Penstraat. The Pen Resort agreed with Korpodeko for nearly 12 million dollars on the preferred equity. Pen Resort developer believes that this could convince the banks. They need a total of 96.4 million dollars for the construction of the Hard Rock Hotel. First, the parties indicated that they needed 115 million dollars, but the budget has been reduced significantly. The plans to build the Hard Rock Hotel in Penstraat have been in the making for some time now. The problem was that the lenders wanted to see more venture capital from the developers. The developers and Korpodeko will now work on this aspect.